figshare is an online digital repository that allows researchers to preserve and share their research outputs. You can connect one figshare folder to your OSF project. Additional folders can be connected to components within the project. 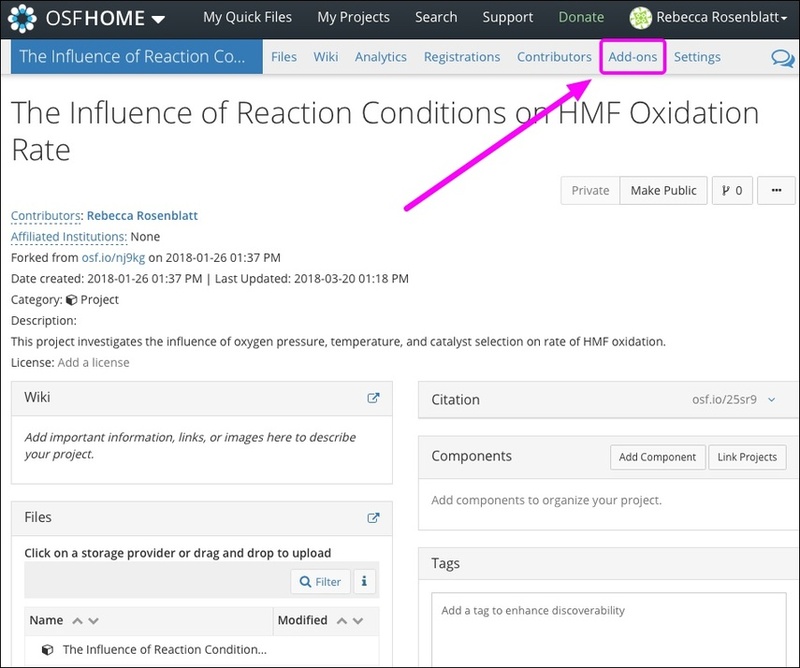 Files added to your figshare project will be accessible via OSF. 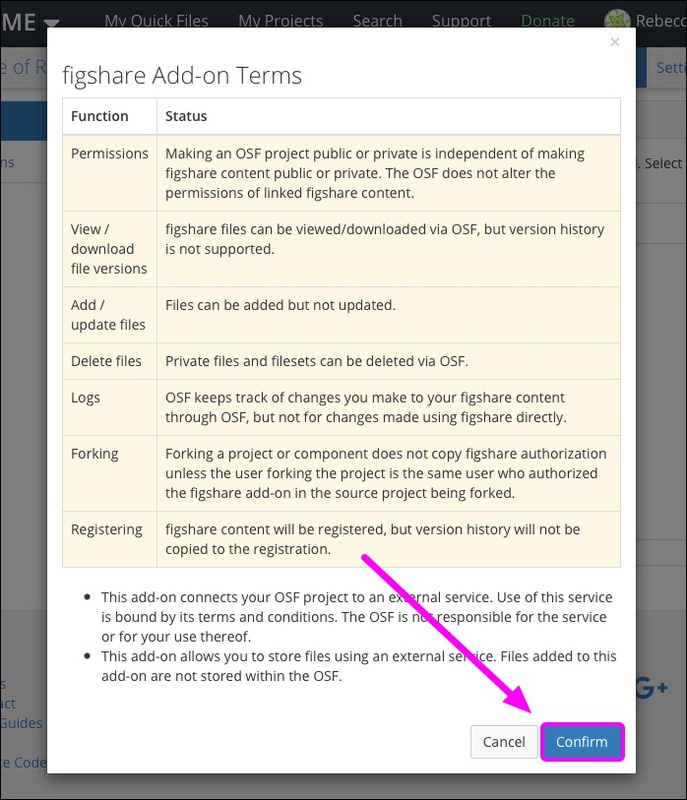 Likewise, files added to the figshare folder in your OSF account will update your figshare project. Files published on figshare cannot be deleted. 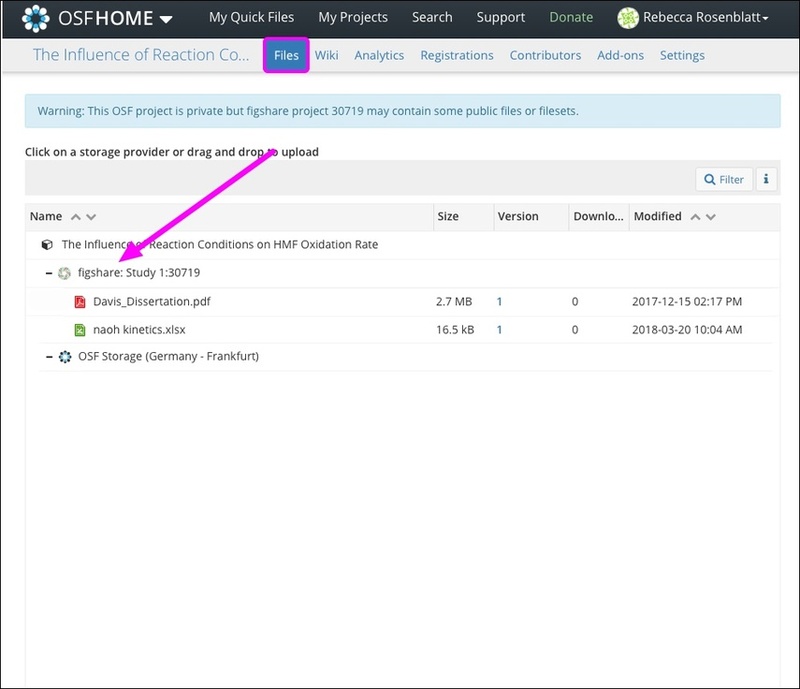 The figshare add-on allows you to connect external content to OSF. This connection does not store or back up this content on OSF. To back up your content to OSF Storage, consider registering your project. First, open your project, then click the Add-ons tab in the navigation bar. You will be taken to the "Add-ons" page for the project. 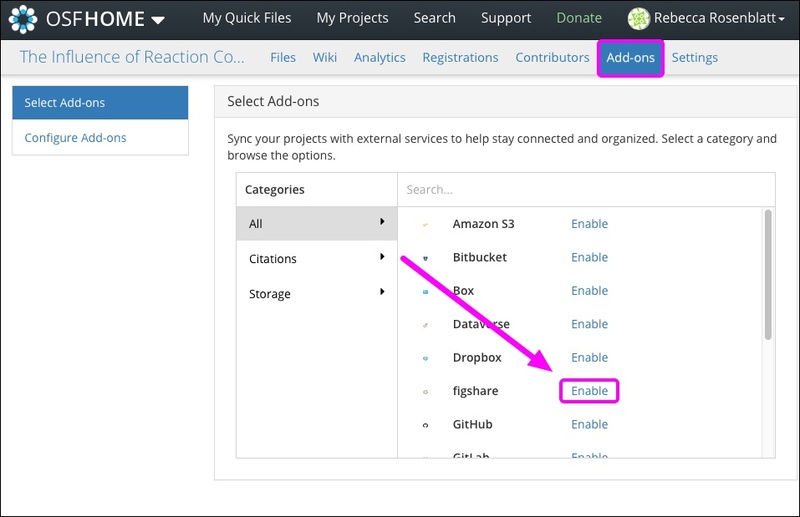 In the list of add-ons, click the Enable link next to figshare. The figshare terms will appear. Read the terms, then click the Confirm button. 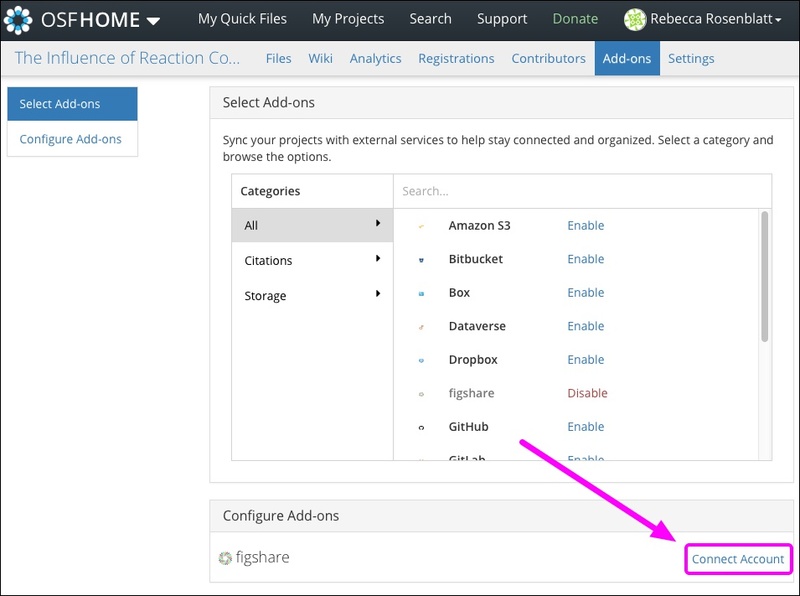 Find figshare in the "Configure Add-ons" section, then click the Connect Account link. 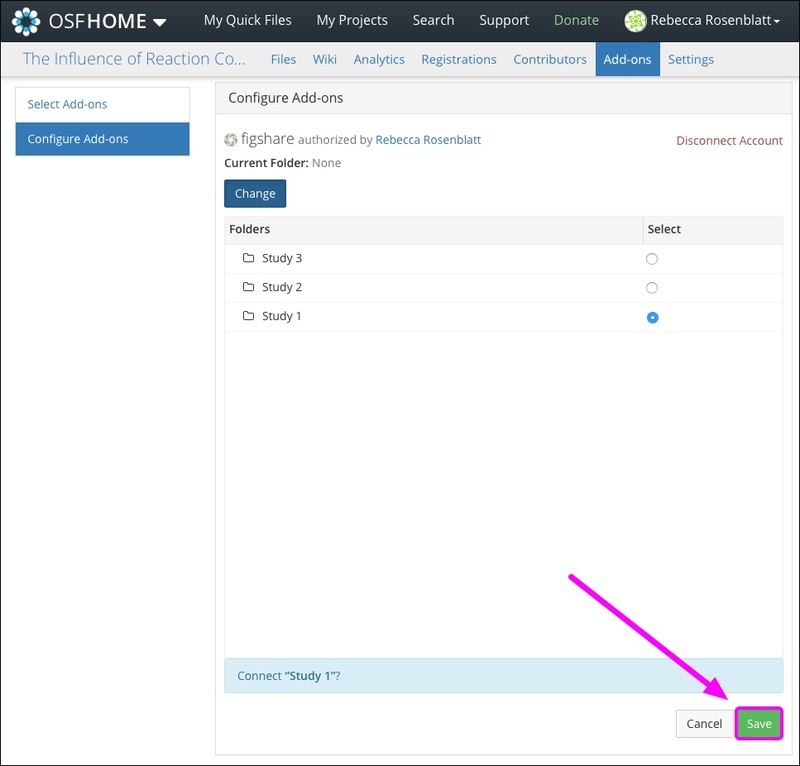 Log in to figshare, then allow OSF access to your figshare account. Your figshare folders will be imported into your project. Next, select a folder from the list, then click Save. figshare will be connected to your project.